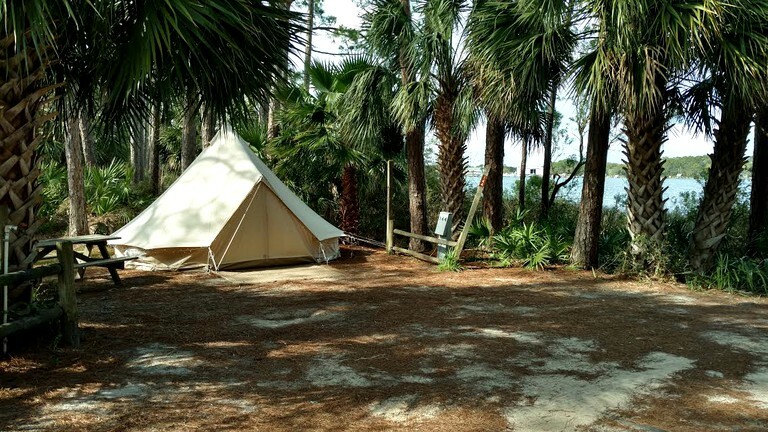 These are the perfect pet-friendly rentals for a great glamping experience in St. Andrews State Park near Panama City Beach, Florida. Each tent can sleep two adults in a queen-size bed or two twin beds. 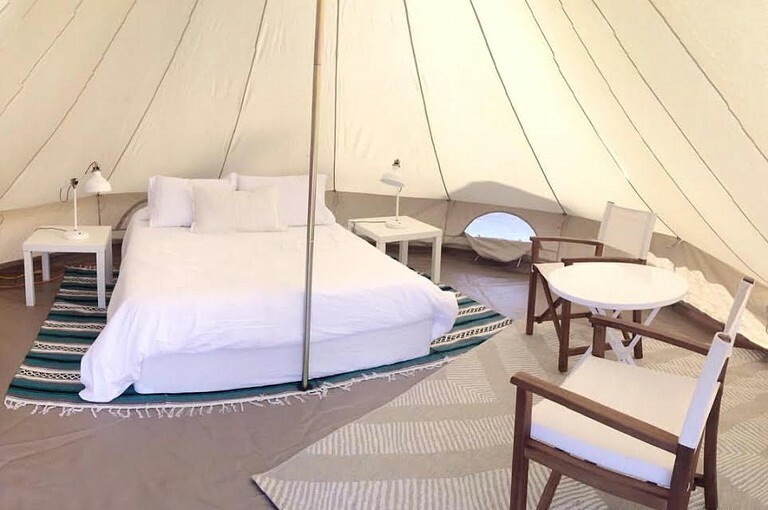 The tent measures 16' and there are rugs, end tables, and lighting to create a cozy atmosphere. Guests will have a heating/cooling unit to keep things comfortable. Outside there are camping chairs that make the perfect spot to relax after a busy day of fun. These tent rentals come furnished and equipped with a wide range of luxury features. 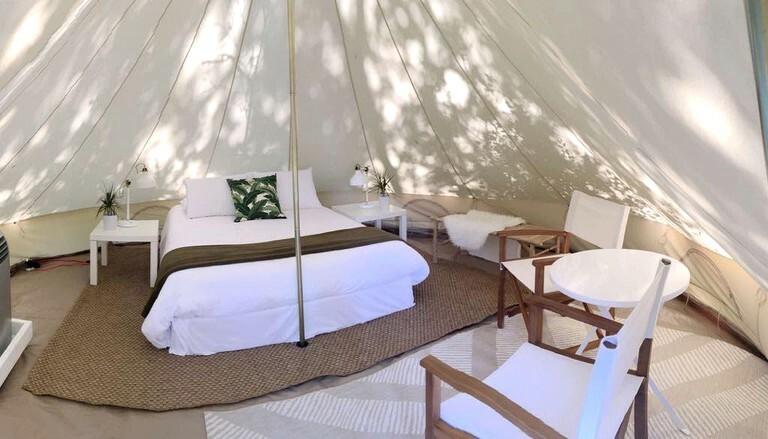 In addition to the tent, guests will be provided linens for the bed, rugs, a bedside table, and a heating and cooling unit to keep things comfortable. There is also indoor and outdoor lighting provided. Lovely outdoor furniture is included for relaxing under the stars. There are a range of additional services that guests can enjoy during their stay in the tents. Glampers can enjoy an art package which includes paint, brushes, a pallet, a canvas to take home, and setup of an ease. Bike rentals, paddle boards, pontoon boats, and canoes are all available to rent. For guests wanting to enjoy a beach bonfire, the host can provide fire, chairs, torches, tables, and s’mores. 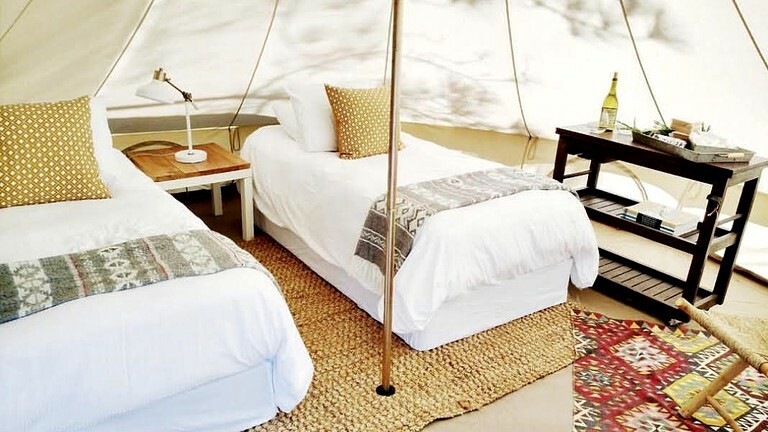 Glampers will be spoiled for choice on how to spend their days during a stay in one of these beautiful glamping rentals. 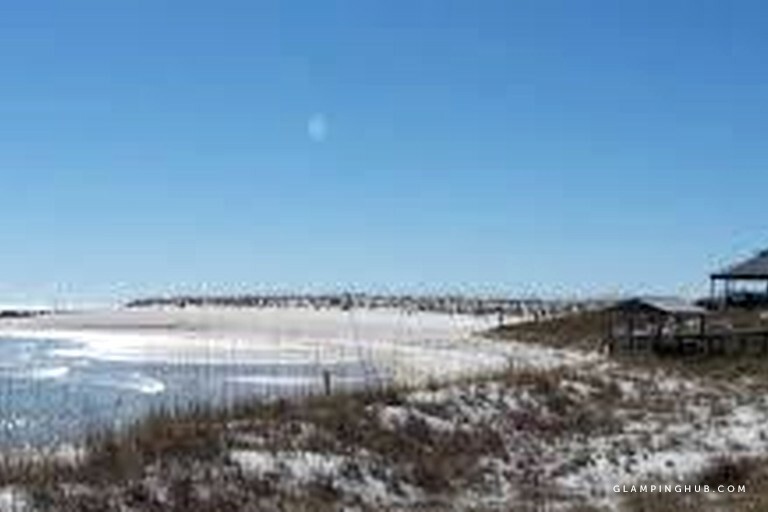 St. Andrews State Park is the perfect site to use as a base. It offers beautiful rural landscapes that are great to explore on foot or by bike. 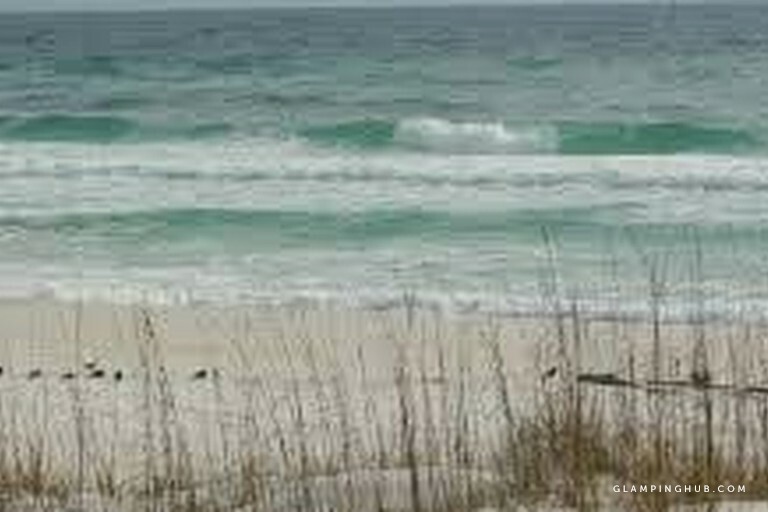 The breathtaking beaches are perfect for spending a lazy afternoon fishing or sunbathing. 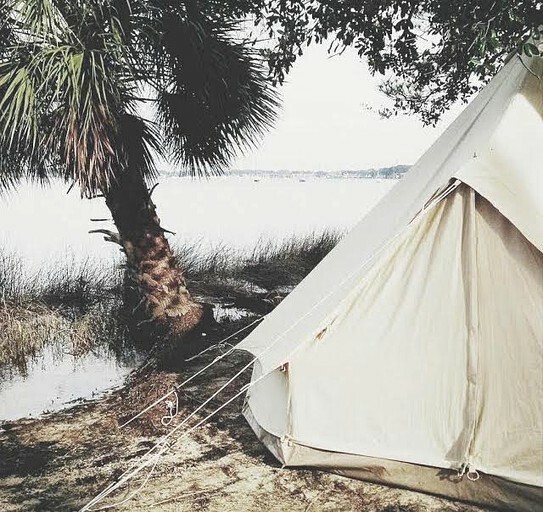 For glampers hoping to enjoy a faster-paced vacation, surfing and boating in this part of the world are known to be thrilling. Further inland, glampers can discover a range of shopping and sightseeing options. What's not to love about the thought of strolling along beautiful streets and exploring cute boutiques and cafes? The hosts recommend guests to bring their own towels, toiletries, and equipment for food preparation. A cooler may also be useful. The tent and all its facilities are set up by staff ready for glampers.